Found in the tropical landscapes of Brazil (where else? ), Philcoxia minensis has developed quite an interesting mechanism to feed: it uses sticky underground leaves to trap tiny roundworms. 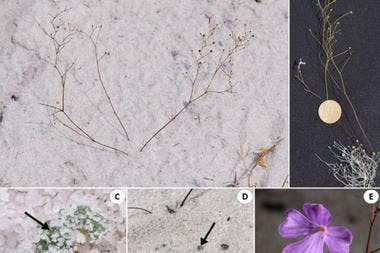 This rare plant has a few leaves above the ground as well, but most are below; until now, biologists were unaware that plants could actually feed like this. Researchers though suspected the mysterious plant of doing something special, due to the numerous similarities it has with other carnivorous plants. To test their theories, they fed the plant nematodes loaded with the isotope nitrogen-15, atoms of which have one more neutron than regular nitrogen-14. Basically, they put worms on top of underground leaves of plants, to see if the plants could digest them. The results were conclusive: the plant eats worms.